Bare walls aren’t very exciting; neither is the same old mass-produced art you’ve seen everywhere. Opulent Pixel will save you from a boring environment by delivering and installing fresh, fun, local photography. Opulent Pixel combines three trends in today’s marketplace: mobile photography, preference for locally produced goods, and a subscription model. Did you know there were over 9000 iOS photography apps as of January, 2012? With Twitter, Instagram, Facebook and FourSquare, people are more likely than every to document and share where they are and what they’re doing. The quality and resolution of the iPhone camera makes printing larger prints a reality. And our brilliant metal prints are unbelievable. You’ll love how they make a statement in your space. People are tired of mass-produced plastic that says Made in China on it. Opulent Pixel is all local! Photographer Sheri Hall was born in Dallas and has lived here most of her life; most of the photography in our collection is of Dallas, of course; and our metal prints are produced locally to reduce production time and cost. Buying art is quite a commitment; why do it if you don’t have to? What if you could choose something new every month? 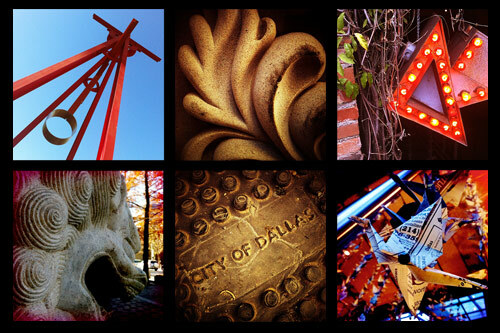 One month you can display the Arts District and the next month Architectural Details and the next Fair Park and so on. You become an Opulent Pixel premium member. We come to your space and install the prints. The next month, you choose another series. We come to your space, remove the old set, & replace it with the new set of prints. Rinse & repeat for 1 year. If you’re ever unsatisfied with your choice of art, call us and we’ll replace it from our available stock for the remainder of the month at no additional charge. Are you ready to see our collection and metal prints? Drop us an email (opulentpixel@gmail.com) or give us a shout to set up an appointment. To see the current collection of images we have to liven up your walls, please visit the photo gallery.